My health has never been a concern. Ive never been really sick, never had a broken bone or operation, never had any serious allergies or dis- ease and generally always experiencing well being! I believe this has come from my early experiences of feeling smothered by my Mother if I was ever sick (or maybe THAT began in another lifetime or several 😉 )and then progressed in my 20’s when I owned a very busy and booked out salon where if I was sick, I would have to work longer than the already 10 hour days to fit all of the people in that I would have to cancel! So, easier just NOT to be sick. And thats what I was. Well! Until about 12 months ago. All of a sudden out of nowhere my body started rejecting the food I was eating and my digestive system was deteriorating. I couldn’t understand it! My skin was getting lesions for no reason and from nothing the doctors could find or explain. I understood after some research and education that my body was shifting to a higher vibration and it didn’t want the food I was giving it. It had been telling me for a while but I had not been listening. It also did not want the acid I was feeding it through food and thought, nor did it want the fear anymore. So, I began to listen to my body more. I looked into the food I was giving it and how it made me feel. I sought the help of people who understood the energetic processes within and for the body and I was guided to several pieces of information that made big differences. The arthritic finger frightened me because after all the years in the Nail Salon profession, I saw the pain that crippling arthritis caused people! I knew that I could heal myself from all of this as I had done it before with something else. Back in 2007-2008 I had extreme hay fever. It got worse and worse. People would blame it on the weather, on the town, on me being run down etc etc. It was at the point where I was taking 3 x 24 hour tablets daily plus eye spray and nose spray that I HAD to resolve it. I was so drugged up all the time and actually don’t remember a lot of those days. I made the decision to do something and after reading about hayfever in Louise Hays book – you can heal your life (Divinely guided to that too!) I took the steps needed in my life to clear the hayfever. And I healed myself from it and have not had it since. If I do feel something coming on again I use what I learned back then about clearing my emotions as well as my calendar and it goes away immediately. I have to say also that I don’t get caught up in talking about it either as we can all do sometimes right! It will keep it happening if you keep talking about it. So my faith in the body and in me was not in question this time either. And I wanted to feel well being again in my entire body, mind and spirit. Here are the 5 steps I took to heal the arthritis in my finger (and toes too! Read more below) before it became too difficult to reverse and too painful. The first thing I did was to look at where the arthritis was and what that meant metaphysically. I believe we create everything that happens in our body (consciously or unconsciously) and it will show up in certain areas depending on what the thoughts or fear is. My lump was on the right hand on the first joint on the ring finger. Now what I discovered was that this was an indication that my toes were about to get arthritic! This truly put me into action to heal the finger! No one wants arthritic fingers AND toes! I have seen the pain others have experienced with it. Sure enough, a few months later I had 2 toes on each foot that started getting lumps in the joints too. Also, being the ring finger on the right hand it had a lot to do with old fear and pain and acid thoughts (anger, resentment etc) from previous relationships and friendships. I am not an expert on any of this either I have to tell you but I truly did start listening and trusting my body and inner voice at this point. So, listening to my body became very important. The answers I got were often blunt ‘NO’ and sometimes informative and funny! For example I walked past a sausage sizzle recently. You know, the ones outside supermarkets etc that raise money for Lions Clubs or other charities? The smell is always intoxicating and I immediately wanted one! I asked my body if it wanted it or of I should have it. The response? That will be a NO to the sausage in bread! And many other times before I consume anything I will look at the ingredients list and I will get an immediate answer yes or no to any or all of the ingredients- even if I don’t know what they are or what they do! The body knows and Innate is always there, ready to help! The arthritis is closely related to the acidic foods I was putting in my body, including alcohol. So I HAD to stop putting it in and I trusted my body to let me know what was good in the moment and what wasn’t. An acidic body is influenced by thoughts too. In fact, every thought we have affects our body, mind, spirit and reality! So, I had to clear up the old thoughts around relationships (as that was the area where the arthritis was in the body). This is a true awareness moment by moment of what you are thinking, especially when interacting with people that push your buttons! Interesting how the universe steps in to assist with this too! Yes, all sorts of people starting appearing that pushed buttons I didn’t realise I had! This can be so freeing. We look at what our reality is right now and the people that are in it and we believe all of our troubles and challenges have come from this reality and lifetime. The truth however is quite different. The reality and lifetime is a reflection of ALL you have been through, experienced and lived over thousands of lifetimes. The people who have shown up have been called by you to serve your growth this lifetime to allow you the choice of re-living the past or clearing it and not taking the old fears and patterns with you to another lifetime. When we can Love the Fear, it dissipates. When we can recognise the old patterns and acknowledge them, we can forgive all involved, including ourselves, and move past the self sabotaging patterns and behaviours. This has been an absolute GIFT for me. Not everyone resonates with sound healing but for me, I feel my cellular structure changing from within when these vibrations of sound are running through me. Sound healing has been so powerful for me in this healing process and I would highly encourage you to try it. I have had personal sessions with powerful and skilled sound healing channels. I attend whatever sound healing sessions are available near where I live. I listen to at least one sound healing recording daily, usually more. I focus on what my body needs at that moment, what healing it is going through or needs, and what fears I am clearing and then the right piece of music appears. I use it for my Chakra work for myself and others. I use it to work with Innate to clear all old patterns, beliefs, unease anywhere in my body and mind and to upgrade and uplift my vibration and energy. I believe it has had a powerful healing affect throughout my entire system, mind and energy. I believe it has had a great impact on clearing the old relationship beliefs, hurts and patterns too which has in turn dissipated my arthritic fingers and toes. These 5 steps are what helped me. Find out what area of the body means what and then go from there with anything you want to heal in your body or mind. Sometimes we do not want to see it or know it so it gets pushed down and hidden again until the body say NO MORE but at this point your body could have a DIS-ease or major trauma so I feel even though it may be scary to look at what your old fears, beliefs and patterns are, when you begin listening to your body and allowing it to help you heal many of those fears go away. And ultimately its those fears that have shown up in your body in some way! For me right now, I have total faith and trust in my body to heal itself given the best environment. Its not my job to do the healing but it is my job to get the environment the best it can be- body, mind and spirit. And that is my pleasure these days, not a fear. I hope this has helped in some way for you and I encourage you to have more trust in your body and begin listening to it. 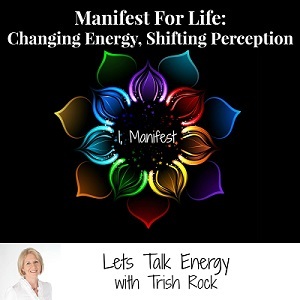 I would love your feedback on how you are opening up to the new energies!